Home / Teen Mom 2 stars Javi Marroquin and his ex-wife, Kailyn Lowry had a Tweet Contest! Teen Mom 2 stars Javi Marroquin and his ex-wife, Kailyn Lowry had a Tweet Contest! Two of the Teen Mom 2 stars Javi Marroquin and his ex-wife, Kailyn Lowry was having a series of Tweet punches on Friday, December 8. He continued tweeting on the same issue. In the further tweet, he twitted that there are more things in his life. He doesn’t want to keep fixating on the relationship that is almost dead to him. He’s only worried about their son Lincoln and he’s blessed to have a son in his life. Javi Marroquin was replying to Lowry’s tweets during night’s episode of Marriage Boot Camp, which cataloged their quarrel over the child support. Wow, disappointed in yourself that you let OTHERS influence how you treat the mother of your child, yet here we are again #MarriageBootCamp ? Javi Marroquin again responded by saying that he can’t be biased and one-sided. Dad also plays the vital role than a mom does. According to Us Weekely, Lowry said that they have made such decision for the sake of their son and the new relationship. 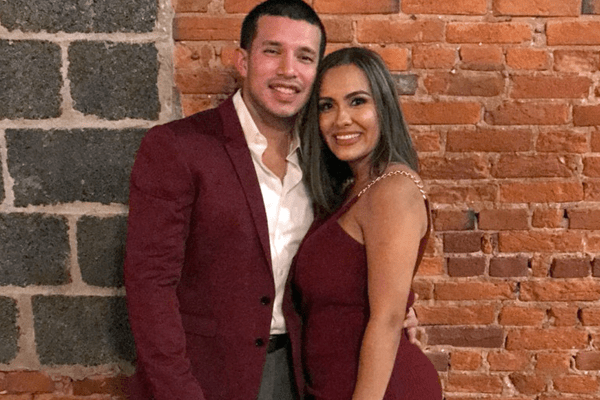 Have Kailyn and Javi Marroquin moved on with other partners? Lowry was in news that she have another child with her friend, Chris Jopez. But Chris denied to the fact and she is taking care of her kids. She however admitted last month that she has a new girlfriend. Kailyn was on Coffee & Convos with Lindsie Chrisley where she spoke about how her one year friendship with the girl has turned into a romantic relationship. She said it just happened. Though she did not mention her partner but hints are going towards Dominique Potter who has posted many pictures of them together in social media sites. They are seen to be hanging out with each other often. Marroquin has also moved on with Teen Mom 2 co-star Briana DeJesus. They have been dating for long and looks very happy together. Well, the reason for their divorce might be parenting issues. In an interview after their squabble, Lowry revealed she had a strange feeling that Marroquin often keeps fixating on issues that weren’t pertinent to c0-parenting. She says, ‘He brings a lot of extra stuff in between and does not want to be involved with Lincoln.